Activision has pulled the plug on Budcat Creations, the studio it acquired in 2008 to develop Guitar Hero and Band Hero games on the PlayStation 2. It's not a good day to be an Activision studio. Earlier today we got word that Project Gotham Racing studio Bizarre Creations was facing the ax and while that situation was later vaguely clarified as "we are exploring our options," it turns out that another of its studios has definitely been shuttered. 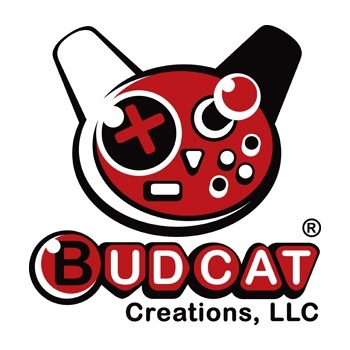 Budcat Creations, which was founded in 2000 and developed various EA Sports titles and the PS2 version of Psychonauts before being bought out by Activision in 2008, has been shut down. According to PC Gamer, "anonymous sources" inside the studio reported today that when they arrived for work this morning, they were greeted outside their office by security guards and "'too cheerful' consultants" who told them they were being fired. Activision later confirmed the closure in a statement to Gamasutra. "We continue to streamline our music development resources to ensure that they are aligned against our slate and strategic goals," the statement said. "As a result, we are implementing a targeted reduction in jobs in our Quality Assurance team in California and closing our Budcat studio in Iowa." "Budcat has been a great partner to Activision and has created a lasting impact on the Guitar Hero franchise," it continued. "Approximately 88 positions, or approximately one percent of our global workforce, will be impacted by these reductions. We are working to redirect those employees that are impacted to other parts of the company where possible, as well as offering them outplacement counseling services." Activision is obviously feeling the decline of the music game genre and it looks like we've seen the end of the Guitar Hero line on the PS2. And while one percent of the workforce is a tiny slice, that can't be much consolation to the people at Budcat. We wish all the best to everyone affected by the closure.